Now that we’re 6 episodes in, I wanted to give you an update on the new series and my plans for 2019. I’m planning to break “The Ancient World – Thea” into 6-episode “seasons” with breaks in between. Which is another way of saying that I’m going back on break for a while. You can expect the second season sometime this Summer and a third season before the end of the year. I don’t really have a feeling yet for how long this series’ll run – it might wrap in the third season or might take a fourth. I’m notoriously bad at predicting that kind of thing. During the break I’m planning to dig into a few side-projects. So, for example, if anyone out there has experience in ancient-history-themed childrens’ books hit me up on social media. 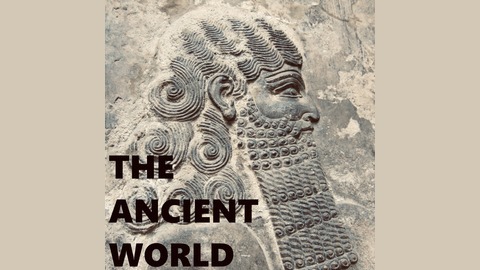 Otherwise if you’d like to help out the show here’s my humble ask: Find one friend who’s into history and tell them about The Ancient World. Maybe even point them toward the first 6 episodes of “Thea” as a low-commitment introduction. If each of you could turn just one friend on to the show that would get us up over 50,000 subscribers. If each of you got two friends listening we’d have nearly 100,000. Those are amazing numbers - but with your help it’s also completely doable. With the recent changes in the podcasting world it’s also a great way to show your support for freeform, independent podcasting. And, last but not least, it’s a wonderful way to keep me inspired and keep the stories flowing. So, that’s it for now – and thanks in advance for helping me out. 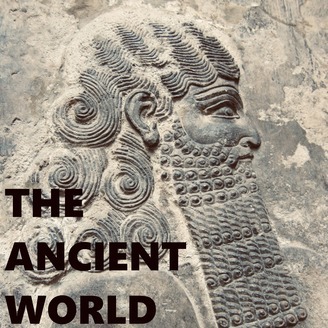 I hope you’re enjoying “The Ancient World – Thea” and thanks again for listening!